and lawn care services to our friends and neighbors in the Central Bucks and Eastern Montgomery County area in SE Pennsylvania since 1974. Our 2nd generation family business has a passion for growing beautiful lawns and landscapes while providing the highest level of service anywhere. We take the mystery out of the science of “Turf Management” by explaining answers in plain, logical English. Our products are made locally to our specifications using the newest and safest chemistry. Our programs can be tailored to fit your individual needs and goals. Our staff of lawn and garden experts can help you achieve success in your yard, while delivering friendly, courteous service. 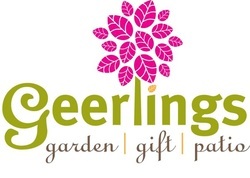 Here at Geerlings, we always strive to bring you the very best in garden, gift and patio and offer them to you at tremendous savings. In fact, we're one of only a few remaining garden centers in the area that continues to grow most of our own nursery stock; no trucks here (but our own, of course)! That allows us to keep our overhead low and pass the savings on to you. ﻿At Wild Birds Unlimited, we are dedicated to helping you turn your yard into a habitat that not only benefits wild birds and the environment, but also brings song, color and life to your home. And though we carry the finest quality selection of bird feeding supplies, we're not just about selling seed and feeders. We pride ourselves on being able to give you the most accurate information about our local birds.